In the course of reforming the customs authorities, all Far Eastern customs will be divided into three categories. These will be actual control customs, regional e-customs and full-featured customs. This was announced by the head of the Far Eastern Customs Department, Yuri Ladygin, at a meeting of the Advisory Council on work with participants of foreign economic activity at the Far Eastern Technical University. The customs of the actual control and the subordinate customs posts will mainly carry out the actual control of the goods transported. In addition, at the customs posts of actual control, the declaration will be partially preserved. For example, there will be functions for declaring certain categories of goods or in special cases involving the use of a paper declaration form or a peculiarity of control in relation to certain customs procedures, as well as certain categories of persons. Electronic customs and electronic declaration centers (EAC) will conduct electronic goods declaration and documentary control. It is planned that the Far Eastern electronic customs and two customs posts - centers of electronic declaration (Vladivostok, subordinate to Vladivostok customs, and Far Eastern, subordinate to the Far Eastern electronic customs) will be created in the region of activity of the Far-Eastern Technical University. Here the main volume of declaration will be concentrated. The Vladivostok customs post (CED) will carry out clearance of goods imported by sea transport, the Far Eastern Customs Post (CED) - goods imported by other modes of transport. 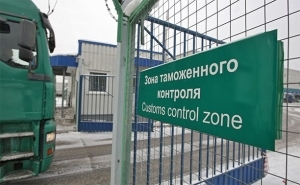 Full-function customs (in the DVTU it will be Vladivostok customs) will be able to carry out both the declaration and the actual control of the goods. Other materials: "With 2019, the rates of duty-free importation of goods for personal use have been reduced	Sheremetyevo customs will pay Apple 147 million rubles "